In general the handling in a warehouse does not add much value to a product. The majority of the processes consist of moving products from one location to another. Each movement takes time and therefore increases the cost due to personnel and equipment use. The number of movements and the distance are the biggest part of the operational costs in a warehouse. To reduce the cost, the number of product movements and the distance should be reduced. 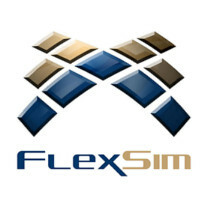 The Flexsim Warehouse Simulation Software (FlexSim WM) is a simulation environment that is used for analyzing and optimizing warehouse processes. In combination with the TALUMIS expertise, the simulation models can be created very fast and accurate. These models are then used to analyze, improve and control the processes.